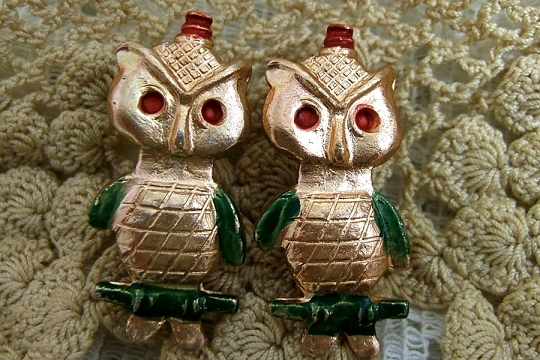 My Mom's teaching buddy loved owls and I can remember looking everywhere for little pins and other keepsake owls. 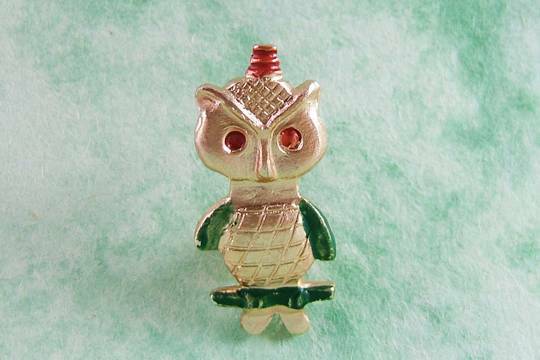 We're sure she would have loved this darling little owl pin. 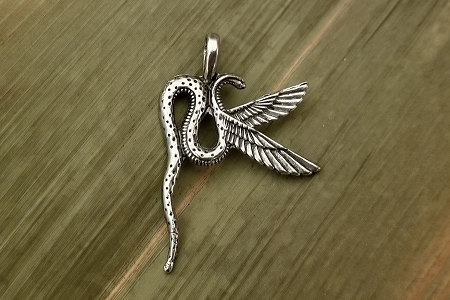 Our diminutive pin is perfect for party favors. Our owl pins are old store stock, never used. They were found in a large Brooklyn, NY, warehouse. These were originally made as novelties for five and dime stores! These were made in the mid-20th century or earlier. Back then, novelties like this were hand painted, so please allow for some variability. Each little owl measures about 1-1/4 inch high by 1/2 inch wide. Consider adding it to a card for your night-owl friends! We're showing two pins so that you can see the slight variability.